The Milwaukee Bucks lead the series 1-0. The Detroit Pistons take on the Milwaukee Bucks at the Fiserv Forum in Milwaukee, in a battle between the top-seeded Bucks and the 8th seeded Pistons. The Bucks will look to take a commanding lead in the series with a win over the Pistons tomorrow. The Milwaukee Bucks were absolutely dominant in the regular season, getting themselves a 60-win campaign and ending with the best record in the league. The Detroit Pistons, on the other hand, managed to grab themselves a playoff spot on the final day and ended in the 8th spot with a .500 record. Milwaukee Bucks: Guard Malcolm Brogdon is out indefinitely with a heel injury, along with guard Donte DiVincenzo, who is out for the season with a heel injury too. Forward Tony Snell is considered day to day with an ankle injury. Center Pau Gasol is out with an ankle injury. Detroit Pistons: Guard Sviatoslav Mykhailiuk is out with a finger injury and forward Blake Griffin is considered day to day after picking up a knee injury. Giannis Antetokounmpo is taking giant strides each season and is now the frontrunner for the regular season MVP award. 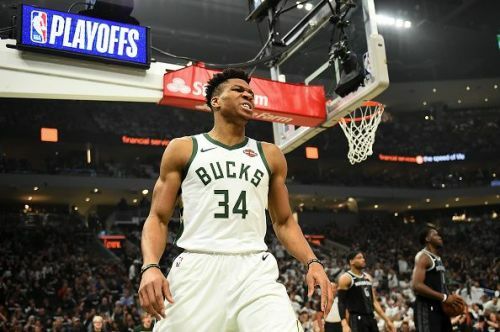 He has pushed the Bucks into stardom under his new coach and has averaged numbers that have not been seen since Kareem Abdul-Jabbar. He is as dominant as Shaquille O'Neal was in the paint, with everyone struggling to guard him. Giannis has been devastating this season, averaging 27.7 points, 12.5 rebounds and 5.9 assists per game. He is also averaging 1.3 steals and 1.5 blocks per game. The Detroit Pistons have an uphill battle as they look to stop one of the most dominant forces in the NBA in recent history. They will have their hands full dealing with the other Bucks players as well. Giannis' last game stats: 24 points, 9-17 FG, 17 rebounds, 4 assists, 1 steal, 1 TO and 1 foul in 23 minutes against the Detroit Pistons. Can Drummond step his game up? Detroit Pistons have been struggling to get going all season long and just when it looked like they had generated momentum, their star forward Blake Griffin was struck down with a knee injury. It is now up to Andre Drummond, the other star player of the squad, to turn up and try to contain Antetokounmpo and the Bucks' reign of terror. Drummond has been dominant in the paint as well, but has had issues with his consistency all season long. Drummond has averaged a solid 17.3 points and 15.6 rebounds per game this season, which are great numbers for a center. He is also a really good defender, averaging 1.7 steals and 1.7 blocks per game. 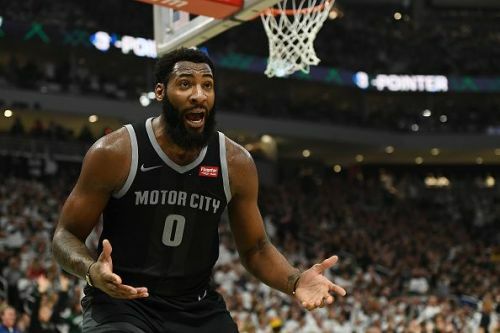 If the Pistons are to have any chance of winning against the Milwaukee Bucks, then Drummond has to lead the charge and put on a dominant display in the paint. Last game stats: 12 points, 4-9 FG, 12 rebounds, 2 assists, 1 steal, 3 TOs and flagrant 2 foul in 26 minutes against the Milwaukee Bucks. 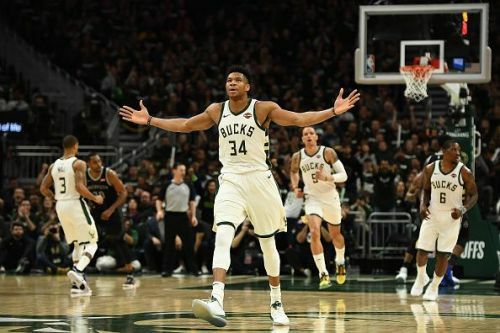 The Milwaukee Bucks face the Detroit Pistons in the comfort of their home and their dominant displays show no indication of stopping anytime soon. Giannis and the Bucks have been unstoppable and the trend will continue.